Cinnamon is a highly delicious spice. It has been prized for its medicinal properties for thousands of years. Modern science has now confirmed what people have instinctively known for ages. Here are 10 health benefits of cinnamon that are supported by scientific research. These days, cinnamon is cheap, available in every supermarket and found in all sorts of foods and recipes. Ceylon cinnamon: Also known as “true” cinnamon. Cinnamon is made by cutting the stems of the cinnamomum tree. The inner bark is then extracted and the woody parts removed from it. When it dries, it forms strips that curl into rolls, called cinnamon sticks. The sticks can be ground to form cinnamon powder. The distinct smell and flavor of cinnamon is due to the oily part, which is very high in a compound called cinnamaldehyde. It is this compound that is responsible for most of cinnamon’s powerful effects on health and metabolism. Bottom Line: Cinnamon is a popular spice. It is high in a substance called cinnamaldehyde, which is responsible for most of the health benefits. Antioxidants protect the body from oxidative damage caused by free radicals. Cinnamon is loaded with powerful antioxidants, such as polyphenols. In a study that compared the antioxidant activity of 26 spices, cinnamon wound up as the clear winner, even outranking “superfoods” like garlic and oregano. In fact, it is so powerful that cinnamon can be used as a natural food preservative. Bottom Line: Cinnamon contains large amounts of highly potent polyphenol antioxidants. Inflammation in the body is incredibly important. It helps the body fight infections and repair tissue damage. However, inflammation can become a problem when it is chronic (long-term) and directed against the body’s own tissues. Cinnamon may be useful in this regard, because some studies show that the antioxidants in it have potent anti-inflammatory activity. Bottom Line: The antioxidants in cinnamon have anti-inflammatory effects, which may help lower the risk of disease. Cinnamon has been linked with reduced risk of heart disease, the world’s most common cause of premature death. In people with type 2 diabetes, 1 gram of cinnamon per day has beneficial effects on blood markers. It reduces levels of total cholesterol, LDL cholesterol and triglycerides, while HDL cholesterol remains stable. More recently, a big review study concluded that a cinnamon dose of just 120 milligrams per day can have these effects. In this study, cinnamon also increased HDL (the “good”) cholesterol. In animal studies, cinnamon has been shown to reduce blood pressure. When combined, all these factors may drastically cut the risk of heart disease. Bottom Line: Cinnamon can improve some key risk factors for heart disease, including cholesterol, triglycerides and blood pressure. Insulin is one of the key hormones that regulate metabolism and energy use. It is also essential for the transport of blood sugar from the bloodstream and into cells. The problem is that many people are resistant to the effects of insulin. This condition, known as insulin resistance, is a hallmark of serious conditions like metabolic syndrome and type 2 diabetes. Well, the good news is that cinnamon can dramatically reduce insulin resistance, helping this incredibly important hormone to do its job. Bottom Line: Cinnamon has been shown to significantly increase sensitivity to the hormone insulin. Cinnamon is well known for its blood sugar lowering effects. Apart from the beneficial effects on insulin resistance, cinnamon can lower blood sugar by several other mechanisms. First, cinnamon has been shown to decrease the amount of glucose that enters the bloodstream after a meal. It does this by interfering with numerous digestive enzymes, which slows the breakdown of carbohydrates in the digestive tract. Second, a compound in cinnamon can act on cells by mimicking insulin. This greatly improves glucose uptake by cells, although it acts much slower than insulin itself. Numerous human trials have confirmed the anti-diabetic effects of cinnamon, showing that it can lower fasting blood sugar levels by up to 10-29%. The effective dose is typically 1-6 grams of cinnamon per day (around 0.5-2 teaspoons). Bottom Line: Cinnamon has been shown to both reduce fasting blood sugar levels, having a potent anti-diabetic effect at 1 to 6 grams per day. Neurodegenerative diseases are characterized by progressive loss of the structure or function of brain cells. Alzheimer’s disease and Parkinson’s disease are two of the most common types. Two compounds found in cinnamon appear to inhibit the buildup of a protein called tau in the brain, which is one of the hallmarks of Alzheimer’s disease. In a study looking at mice with Parkinson’s disease, cinnamon helped to protect neurons, normalize neurotransmitter levels and improve motor function. These effects need to be studied further in humans. Bottom Line: Cinnamon has been shown to lead to various improvements for Alzheimer’s disease and Parkinson’s disease in animal studies. Cancer is a serious disease, characterized by uncontrolled growth of cells. Cinnamon has been widely studied for its potential use in cancer prevention and treatment. Overall, the evidence is limited to test tube experiments and animal studies, which suggest that cinnamon extracts may protect against cancer. It acts by reducing the growth of cancer cells and the formation of blood vessels in tumors, and appears to be toxic to cancer cells, causing cell death. A study in mice with colon cancer revealed cinnamon to be a potent activator of detoxifying enzymes in the colon, protecting against further cancer growth. These findings were supported by test tube experiments, which showed that cinnamon activates protective antioxidant responses in human colon cells. Whether cinnamon has any effect in living, breathing humans needs to be confirmed in controlled trials. Bottom Line: Animal studies and test tube experiments indicate that cinnamon may have protective effects against cancer. 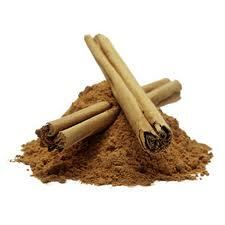 The antimicrobial effects of cinnamon may also help prevent tooth decay and reduce bad breath. Bottom Line: Cinnamaldehyde has antifungal and antibacterial properties, which may reduce infections and help fight tooth decay and bad breath. HIV is a virus that slowly breaks down the immune system, which can eventually lead to AIDS if untreated. Cinnamon extracted from Cassia varieties is thought to help fight against HIV-1. This is the most common strain of the HIV virus in humans. A laboratory study looking at HIV infected cells found that cinnamon was the most effective treatment of all 69 medicinal plants studied. Human trials are needed to confirm these effects. Bottom Line: Test tube studies have shown that cinnamon can help fight HIV-1, the main type of HIV virus in humans. Not all cinnamon is created equal. The Cassia variety contains significant amounts of a compound called coumarin, which is believed to be harmful in large doses. All cinnamon should have health benefits, but Cassia may cause problems in large doses due to the coumarin content. Ceylon (“true” cinnamon) is much better in this regard, and studies show that it is much lower in coumarin than the Cassia variety . Unfortunately, most cinnamon found in supermarkets is the cheaper Cassia variety. You may be able to find Ceylon in some health food stores, and there is a good selection on Amazon. At the end of the day, cinnamon is one of the most delicious and healthiest spices on the planet. It can lower blood sugar levels, reduce heart disease risk factors, and has a plethora of other impressive health benefits. Just make sure to get Ceylon cinnamon, or stick to small doses (no more than 0.5-2 teaspoons a day) if you’re using the Cassia variety. Categories: spices | Tags: cinnamon, diet, spices | Permalink.